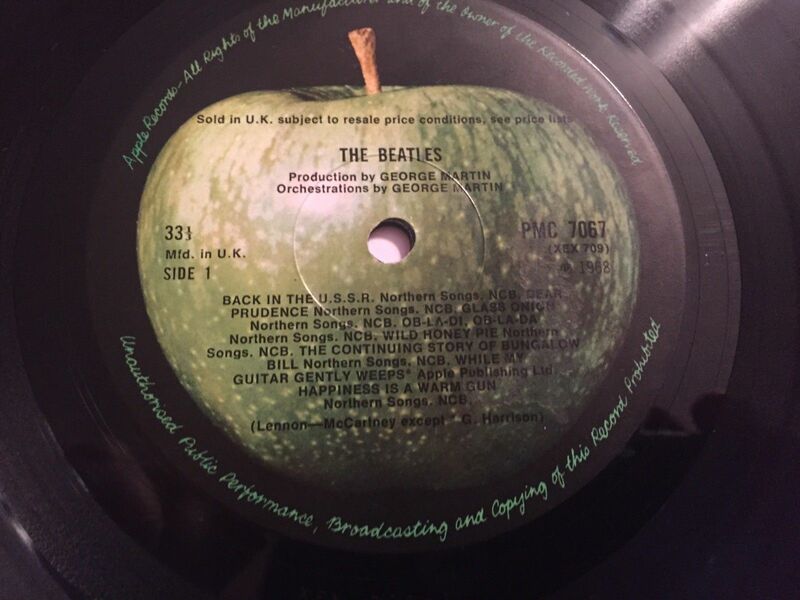 This week, Allan Kozinn, Ken Michaels and Steve Marinucci discuss the history and significance of Apple Records on the label's 50th anniversary. The show was inspired, in part, by Allan Kozinn's article on the label for Beatlefan magazine. As always, we welcome your thoughts about this episode of the show or any other episode. We invite you to send your comments about this or any of our other shows to our email address thingswesaidtodayradioshow@gmail.com, join our "Things We Said Today Beatles Fans" Facebook page and comment there, tweet us at @thingswesaidfab or catch us each on Facebook and give us your thoughts. And we thank you very much for listening. You can hear and download our show on Podbean, the Podbean app and iTunes and stream us through the Tune In Radio app and from our very own YouTube page. Our shows appear just about every week. Please be sure and write a (good!) review of our show on our iTunes page. If you subscribe to any of our program providers, you'll get the first word as soon as a new show is available. We don't want you to miss us. And thank you very much for your continued support. Our download numbers have been continually rising each week as more people discover us and it's all because of you! So we thank you very much for supporting us. This week, we add to our great collection of interviews as we talk with Roag Best, who's about to open the new Beatles Magical History Museum on Mathew Street in Liverpool. He talks about some of the items in the museum that came from his brother Pete Best, the Best family and his father, Neil Aspinall, plus we (and you) will hear some brand new breaking news about Pete. And the packed show also includes our news section with a review of Paul McCartney's two new songs and our report on his recent surprise appearance in Liverpool. As always, we welcome your thoughts about this episode of the show or any other episode. We invite you to send your comments about this or any of our other shows to our email address thingswesaidtodayradioshow@gmail.com, join our "Things We Said Today Beatles Fans" Facebook page and comment there, tweet us at @thingswesaidfab or catch us each on Facebook and give us your thoughts. And we thank you very much for listening. You can hear and download our show on Podbean, the Podbean app and iTunes and stream us through the Tune In Radio app and from our very own YouTube page. Our shows appear just about every week. Please be sure and write a (good!) review of our show on our iTunes page. If you subscribe to any of our program providers, you'll get the first word as soon as a new show is available. We don't want you to miss us. And thank you very much for your continued support. Our download numbers have been continually rising each week as more people discover us and it's all because of you! So we thank you very much for supporting us. 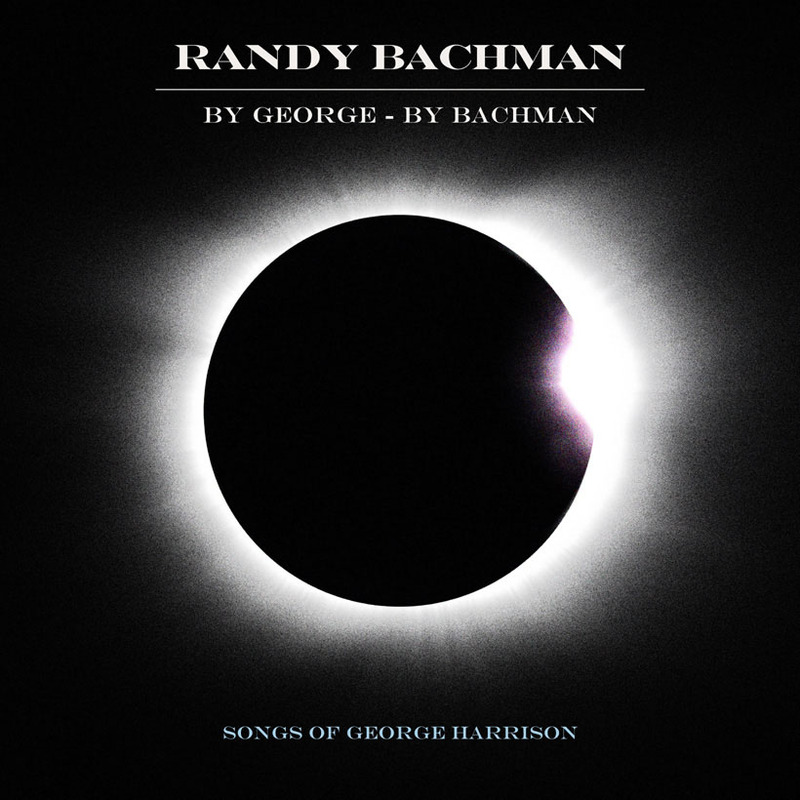 This week, Steve Marinucci, Ken Michaels and Allan Kozinn discuss how George Harrison's songwriting evolved from his earliest songs through the "Abbey Road" album. As always, we welcome your thoughts about this episode of the show or any other episode. We invite you to send your comments about this or any of our other shows to our email address thingswesaidtodayradioshow@gmail.com, join our "Things We Said Today Beatles Fans" Facebook page and comment there, tweet us at @thingswesaidfab or catch us each on Facebook and give us your thoughts. And we thank you very much for listening. You can hear and download our show on Podbean, the Podbean app and iTunes and stream us through the Tune In Radio app and from our very own YouTube page. Our shows appear just about every week. Please be sure and write a review of our show on our iTunes page. If you subscribe to any of our program providers, you'll get the first word as soon as a new show is available. We don't want you to miss us. And thank you very much for your continued support. Our download numbers have been rising steadily each week as more people discover us and it's all because of you! So we thank you very much for supporting us. This week, Ken, Allan and Steve take up the songs from the Beatles' BBC recordings that weren't originally released on their albums, such as "Too Much Monkey Business" and "Soldier of Love." As always, we welcome your thoughts about this episode of the show or any other episode. We invite you to send your comments about this or any of our other shows to our email address thingswesaidtodayradioshow@gmail.com, join our "Things We Said Today Beatles Fans" Facebook page and comment there, tweet us at @thingswesaidfab or catch us each on Facebook and give us your thoughts. And we thank you very much for listening. You can hear and download our show on Podbean, the Podbean app and iTunes and stream us through the Tune In Radio app and from our very own YouTube page. Our shows appear just about every week. Please be sure and write a review of our show on our iTunes page. If you subscribe to any of our program providers, you'll get the first word as soon as a new show is available. We don't want you to miss us. And thank you very much for your continued support. Our download numbers have been rising steadily each week as more people discover us and it's all because of you! So we thank you very much for supporting us. This week, your Things We Said Today co-hosts Steve Marinucci, Ken Michaels and Allan Kozinn analyze the Beatles "1962-66" and "1967-70" (the Red and Blue) albums. We look at the track lists, how they work as compilations (and stack up to other Beatles compilations) and what should have been included that wasn't. As always, we welcome your thoughts about this episode of the show or any other episode. We invite you to send your comments about this or any of our other shows to our email address thingswesaidtodayradioshow@gmail.com, join our "Things We Said Today Beatles Fans" Facebook page and comment there, tweet us at @thingswesaidfab or catch us each on Facebook and give us your thoughts. And we thank you very much for listening. You can hear and download our show on Podbean, the Podbean app and iTunes and stream us through the Tune In Radio app and from our very own YouTube page. Our shows appear just about every week. Please be sure and write a review of our show on our iTunes page. If you subscribe to any of our program providers, you'll get the first word as soon as a new show is available. We don't want you to miss us. And thank you very much for your continued support. Our download numbers have been rising steadily each week as more people discover us and it's all because of you! So we thank you very much for supporting us. This week, Ken, Steve and Allan welcome back Kit O'Toole, author of the Deep Beatles column, for the first of two shows. This week, she'll reveal her list of overlooked Beatles songs. And watch for an upcoming show where she'll feature her picks for overlooked solo Beatles songs. As always, we welcome your thoughts about this episode of the show or any other episode. We invite you to send your comments about this or any of our other shows to our email address thingswesaidtodayradioshow@gmail.com, join our "Things We Said Today Beatles Fans" Facebook page and comment there, tweet us at @thingswesaidfab or catch us each on Facebook and give us your thoughts. And we thank you very much for listening. You can hear and download our show on Podbean and iTunes and stream us through the Tune In Radio app and from our very own YouTube page. Our shows appear just about every week. Please be sure and write a review of our show on our iTunes page. If you subscribe to any of our program providers, you'll get the first word as soon as a new show is available. We don't want you to miss us. And thank you very much for your continued support. Our download numbers have been rising steadily each week as more people discover us and it's all because of you! So we thank you very much for supporting us. 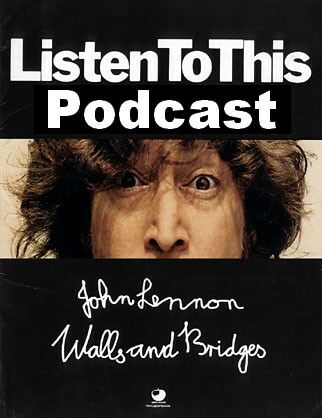 Our very special guest this week is Elliot Mintz, who is known, among his many accomplishments, for his long association with John Lennon, Yoko Ono, Sean Lennon and Julian Lennon and his hosting of the landmark "The Lost Lennon Tapes" series. He talks about all of that and much more in this show this week with Steve Marinucci, Ken Michaels and Allan Kozinn. As always, we welcome your thoughts about this episode of the show or any other episode. We invite you to send your comments about this or any of our other shows to our email address thingswesaidtodayradioshow@gmail.com, join our "Things We Said Today Beatles Fans" Facebook page and comment there, tweet us at @thingswesaidfab or catch us each on Facebook and give us your thoughts. And we thank you very much for listening. You can hear and download our show on Podbean and iTunes and stream us through the Tune In Radio app and from our very own YouTube page. Our shows appear just about every week. Please be sure and write a review of our show on our iTunes page. If you subscribe to any of our program providers, you'll get the first word as soon as a new show is available. We don't want you to miss us. And thank you very much for your continued support. Our download numbers have been rising steadily each week as more people discover us and it's all because of you! So we thank you very much for supporting us. This week, Steve Marinucci, Allan Kozinn and Ken Michaels welcome attorney Joey Self as their guest. If his name sounds familiar, it's because he wrote four lengthy essays on Beatles' court cases that were published on Steve Marinucci's Abbeyrd's Beatles Page site and elsewhere. He talks with us about several cases, including the George Harrison "My Sweet Lord"/"She's So Fine" suit and the John Lennon-Morris Levy "Roots" suit. As always, we welcome your thoughts about this episode of the show or any other episode. We invite you to send your comments about this or any of our other shows to our email address thingswesaidtodayradioshow@gmail.com, join our "Things We Said Today Beatles Fans" Facebook page and comment there, tweet us at @thingswesaidfab or catch us each on Facebook and give us your thoughts. And we thank you very much for listening. You can hear and download our show on Podbean and iTunes and stream us through the Tune In Radio app and from our very own YouTube page. Our shows appear just about every week. Please be sure and write a review of our show on our iTunes page. If you subscribe to any of our program providers, you'll get the first word as soon as a new show is available. We don't want you to miss us. And thank you very much for your continued support. Our download numbers have been rising steadily each week as more people discover us and it's all because of you! So we thank you very much for supporting us. This week, your Things We Said Today hosts Allan Kozinn, Steve Marinucci and Ken Michaels are joined by University of Michigan professor and renowned Beatles musicologist Walter Everett, the author of a two-volume series of books on "The Beatles As Musicians" that covers the Fab Four's recorded music from their days as The Quarry Men through "The Beatles Anthology." Everett talks about the musical development of the Beatles through their career citing songs from various albums. As always, we welcome your thoughts about this episode of the show or any other episode. We invite you to send your comments about this or any of our other shows to our email address thingswesaidtodayradioshow@gmail.com, join our "Things We Said Today Beatles Fans" Facebook page and comment there, tweet us at @thingswesaidfab or catch us each on Facebook and give us your thoughts. And we thank you very much for listening. You can hear and download our show on Podbean and iTunes and stream us through the Tune In Radio app and from our very own YouTube page. Our shows appear just about every week. Please be sure and write a review of our show on our iTunes page. If you subscribe to any of our program providers, you'll get the first word as soon as a new show is available. We don't want you to miss us. And thank you very much for your continued support. Our download numbers have been rising steadily each week as more people discover us and it's all because of you! So we thank you very much for supporting us. This week, Ken, Allan and Steve welcome the great Neil Innes, who tells us some inside stories of his career with the Bonzo Dog Band and the Rutles, talks about his upcoming live appearances and also reveals some breaking news in the later part of the show. As always, we welcome your thoughts about this episode of the show or any other episode. We invite you to send your comments about this or any of our other shows to our email address thingswesaidtodayradioshow@gmail.com, join our "Things We Said Today Beatles Fans" Facebook page and comment there, tweet us at @thingswesaidfab or catch us each on Facebook and give us your thoughts. And we thank you very much for listening. You can hear and download our show on Podbean and iTunes and stream us through the Tune In Radio app and from our very own YouTube page. Our shows appear just about every week. Please be sure and write a review of our show on our iTunes page. If you subscribe to any of our program providers, you'll get the first word as soon as a new show is available. We don't want you to miss us. And thank you very much for your continued support. Our download numbers have been rising steadily each week as more people discover us and it's all because of you! So we thank you very much for supporting us.